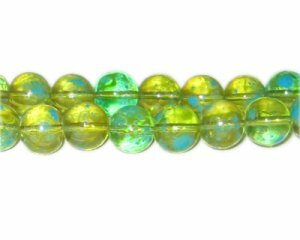 These are 12mm Green Blossom Spray Glass Bead, approx. 18 beads on an 8" string. This site has very beautiful beads and wonderful choices and the price is unbelievable, making an order shortly, so excited. I have found my new favorite site I can't believe the saving and quality. I can't believe these prices! !